Currently, he is working on developing the Achievement for All Bubble (an online leadership development and professional learning environment that is growing by the day in terms of content and effectiveness) and leading an Achievement for All DfE-funded contract aimed at securing better outcomes for young people in the youth justice system with Special Education Needs. Three new Programmes have been added for 2018: Achieving Wellbeing, Core Strength and Emotion Coaching. Working in partnership with Microsoft, he has developed and built an Inclusive Digital Educator pathway for the Microsoft Educator Community. In just over eighteen months, over 150,000 professionals from across the globe have completed courses! Marius’ passion for education is matched by his love of music. In a parallel career, Marius continues to compose, perform and educate. Committed to closing the gap between the classroom and the workplace. Committed to closing the gap due to social and economic deprivation. Committed to every learner exceeding expectations. This is a unique consultancy, professional networking and school improvement service. We stand for sharing, collaboration, cooperation and partnerships, and a celebration of “common wealth”. What does “SCiP5” stand for? and the 5? See the graphic below- other pages on this site tell you more. As the world around us becomes increasingly fast-paced, complex and ever-changing, the amount that we really know (that we can grasp and fully understand) in relation to the knowledge available decreases all the time. The leaders of commerce and industry demand that schools and higher education do more to prepare young people for the rigours of the 21st century workplace: they assert school leavers entering a tough labour market must have the underlying skills needed for success in any job. The OECD is also clear about the challenges: demand for the competencies that 20th century school systems were good at imparting (routine cognitive and manual skills) is falling sharply among employers around the world; 21st century systems need to prepare students to deal with more rapid change than ever before … for jobs that have not yet been created … using technologies that have not yet been invented. The nature of knowledge is changing. So too must the way we do education, and the way we do education business. 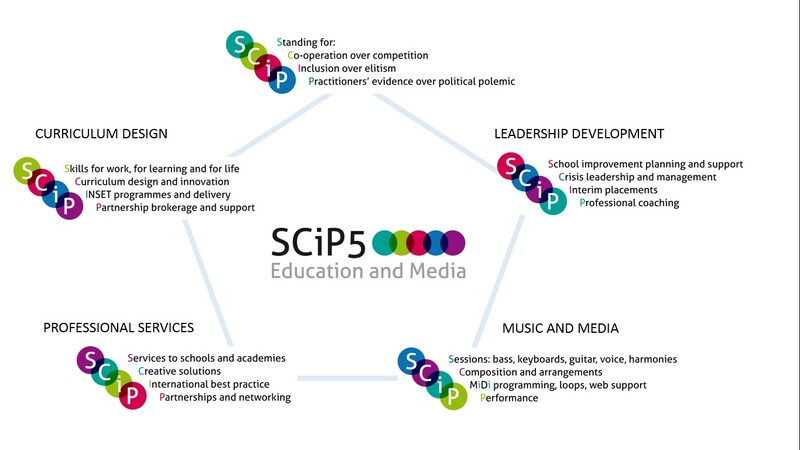 SCiP5 stands for inclusion, every child exceeding expectations, and an unswerving commitment to social justice within education, within society. Please get in touch if you think we can be of assistance on your learning journey. WORKSHOPS AND LECTURES IN: LONDON (various), BATH, BIRMINGHAM, BRISTOL, SOUTH GLOUCESTERSHIRE, BRIGHTON, GLOUCESTERSHIRE, HULL, LIVERPOOL, ASHINGTON AND NEWCASTLE UPON TYNE, READING, SOUTHEND, TAVISTOCK (DEVON), ANDOVER, LEICESTER, ABINGDON. LEEDS, CAMBRIDGE and NOTTINGHAM. Hi Marius. Trys here. Conscious we’ve not been in touch. As you know I’m now Principal at Venturers’ Academy Free School for ASC students in Bristol. I’m considering implementing AfA for September. Can you suggest next steps and whether this is appropriate for students like ours she 4-16 with autism, complex needs and challenging behaviour.